DRUMMONDVILLE, Que. 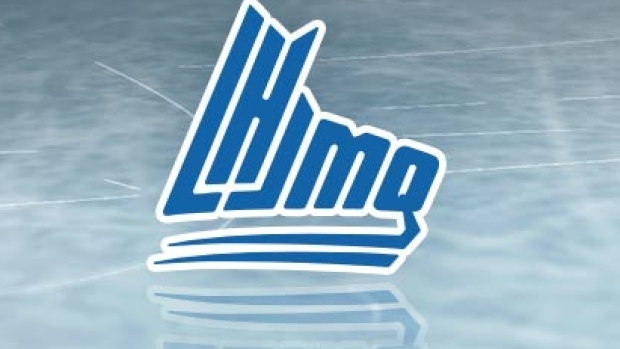 — Joseph Veleno had a goal and two assists and Gregor MacLeod scored twice as the Drummondville Voltigeurs beat the Gatineau Olympiques 6-1 on Friday to win their Quebec Major Junior Hockey League first-round playoff series in five games. Remy Anglehart, Maxime Comtois, and Nicolas Guay also scored for the Voltigeurs. Giordano Finoro had the lone goal for the Olympiques. Anthony Morrone kicked out 11 shots for Drummondville as Remi Poirier turned aside 42 shots for Gatineau. Olympiques winger Andre Simard was given a major and game misconduct at 10:17 of the third period for checking from behind. MONCTON, N.B. — Ivan Chekhovich scored twice and Pascal Corbeil tacked on three assists as Baie-Comeau beat the Wildcats in Game 5 for a 3-2 first-round series lead. Alex D'Orio made 39 saves while Shawn Element, Yaroslav Alexeyev and Ethan Crossman also scored for the Drakkar, who host Game 6 on Monday. Alexander Khovanov and Adam Capannelli potted goals as Charles-Antoine Lavallee turned away 29 shots for Moncton. Defenceman Aleksi Anttalainen was given a match penalty for boarding at 10:35 of the third. VAL-D'OR, Que. — Jonathan Lemieux made 35 saves as the Foreurs won Game 5 to take a 3-2 first-round series lead on Victoriaville. Nicolas Ouellet and Felix Boivin hit the scoresheet for Val-d'Or. Sean Larochelle scored for the Tigres, who host Game 6 on Monday. Tristan Cote-Cazenave made 27 saves in defeat. CHARLOTTETOWN — Mitchell Balmas capped a four-goal second with the eventual winner at 16:27 of the period as Cape Breton took Game 5 from the Islanders for a 3-2 edge in its first-round set. Shawn Boudrias, Shaun Miller and Derek Gentile also scored while Kevin Mandolese turned aside 32 shots for the Screaming Eagles, who host Game 6 on Sunday. Nikita Alexandrov struck twice and Kevin Gursoy had the other Charlottetown goal. Matthew Welsh made 21 saves in a losing cause. SHAWINIGAN, Que. — Rafael Harvey-Pinard scored three times and Peter Abbandonato chipped in with four assists as Rouyn-Noranda toppled the Cataractes for a 3-2 first-round series lead. Joel Teasdale, Felix Bibeau, Louis-Filip Cote and Patrik Hrehorcak also scored for the Huskies, who host Game 6 on Monday. Samuel Harvey made 18 saves for the win. Jan Drozg supplied all three goals for Shawinigan. Antoine Coulombe combined with Justin Blanchette for 37 saves in defeat. SHERBROOKE, Que. — Dakota Lund-Cornish made 24 saves as the Phoenix bounced back from a Game 1 loss to eliminate Blainville-Boisbriand in five games. Michael Kemp, Oliver Okuliar, Benjamin Tardif and Bobby Dow produced the offence for Sherbrooke, which took the first-round set 4-1. Simon Pinard scored for the Armada. Brendan Cregan kicked out 30 shots in a losing cause.